Fully grown in the sun, sencha is the most common variety of green tea, making up between 70 to 90 percent of Japanfs production of green tea. Sencha tea leaves usually picked early in the season; between late February to early May. There are many grades of sencha, and the taste, quality and price can vary greatly. A few factors – quality of the raw tea leaves, location of the plantation, and how long the tea leaves has been steamed for – determine the final taste of sencha. Of these, the amount of time spent steaming tea leaves is probably the most important aspect that affects the final taste of the brewed green tea. 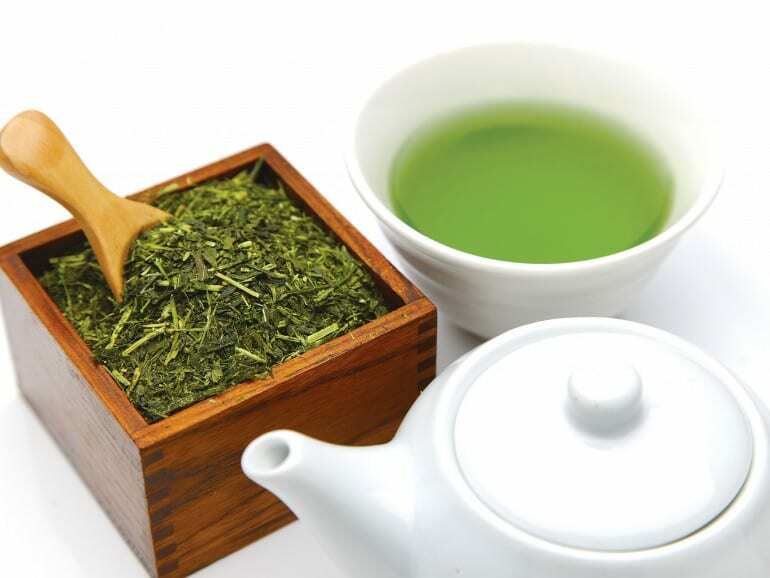 Sencha that has been steamed for a short amount of time – around 30 seconds – is known as asamushi sencha. In general, this produces tea with course leaves and a yellow-green colour when itfs brewed, and a fragrant but subtle, grassy flavour. Higher grade tea leaves are usually used for this process. Fuka-mushi sencha, on the other hand, is sencha that is steamed for a longer period of time; anywhere from 45 seconds to two minutes. It has more broken leaves and produces tea with a deep green colour. Compared to asamushi sencha, fuka-mushi sencha has a stronger taste, and is less astringent but also has a little less fragrance. A benefit that fuka-mushi sencha has over asamushi sencha is the fact that it retains a high nutritional content as some of the powder dissolves into the tea when itfs brewed. Brewing a cup of fuka-mushi sencha differs slightly from asamushi sencha. The water temperature used for brewing the former should be around 70 degrees Celsius and latter, between 80 to 90 degrees Celsius. The ideal steeping time for fuka-mushi sencha is about two minutes, compared to asamushi senchafs one minute.